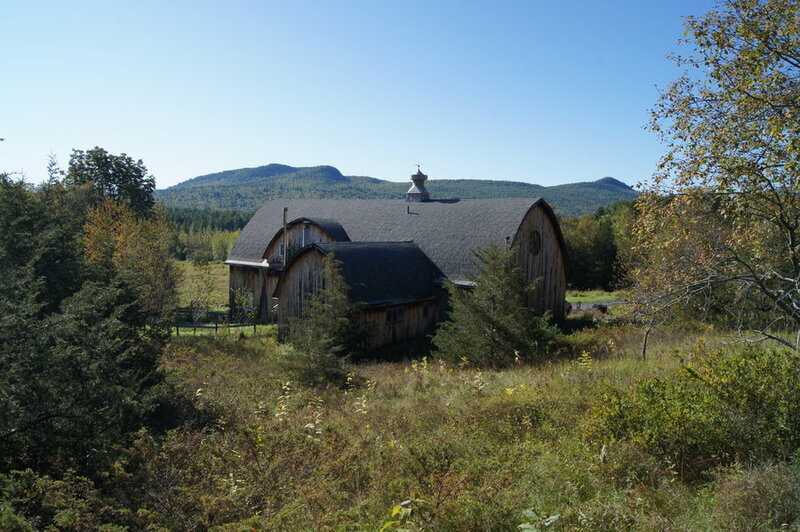 Our home is a large converted barn, over 5000 square feet total, although only part of it is finished to live in. We have 4 bedrooms as well as a convertible sofa in the living room. We are adding photos, so all recent addions are not shown in the pictures. One bedroom has a king size bed, one a queen, one a double, and the other has a queen and two small twins currently set up as a bunkbed. 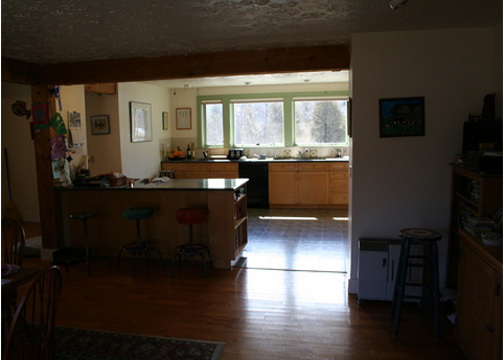 The main part of the house (kitchen/dining/living room) is a large open split level area with picture windows facing the south with meadow and mountain views. Off the main part of the house is our library/TV room which has the queen and bunkbed. 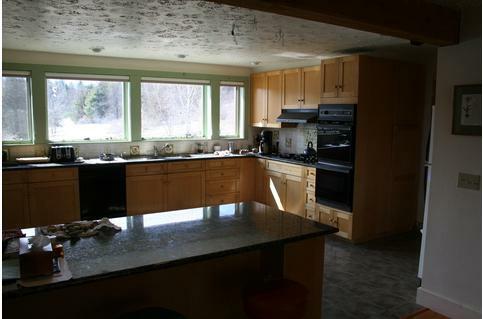 The kitchen is very large, with a breakfast counter and lots of granite counters. A pantry and laundry room are off the kitchen. 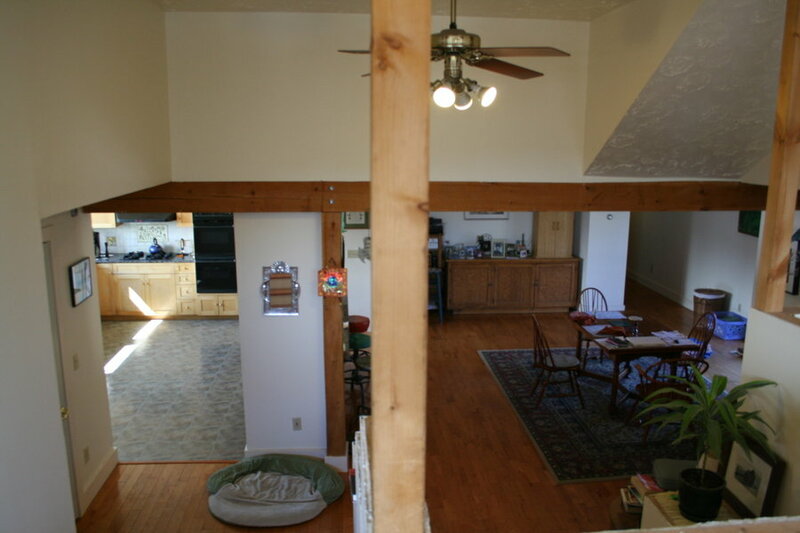 The dining area is part of the same large room, and includes our main woodstove. Half a flight up is the living room, still open to the area below and with large picture windows facing south/southeast over the field. The upstairs bathroom has a bath/shower and downstairs there is a jet tub but no shower. A third bathroom in the library has a shower. The hot water can run out if you use too much at once, so dishes and laundry shoule not be done if a lot of folks are showering. The house has one unfinished areea that is a work in progress. This will be an additional great room with a guest bed. 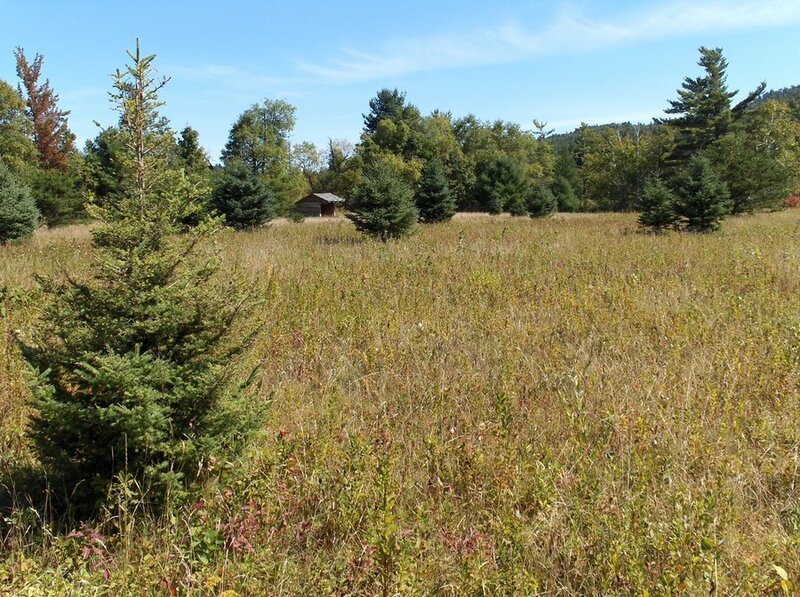 We have a nice, private 26 acre parcel, off the main roads and about 4 or 5 miles from the Whiteface Ski Area. We are on the same road as the Wilmington mountain biking trails, about a mile and a half away. 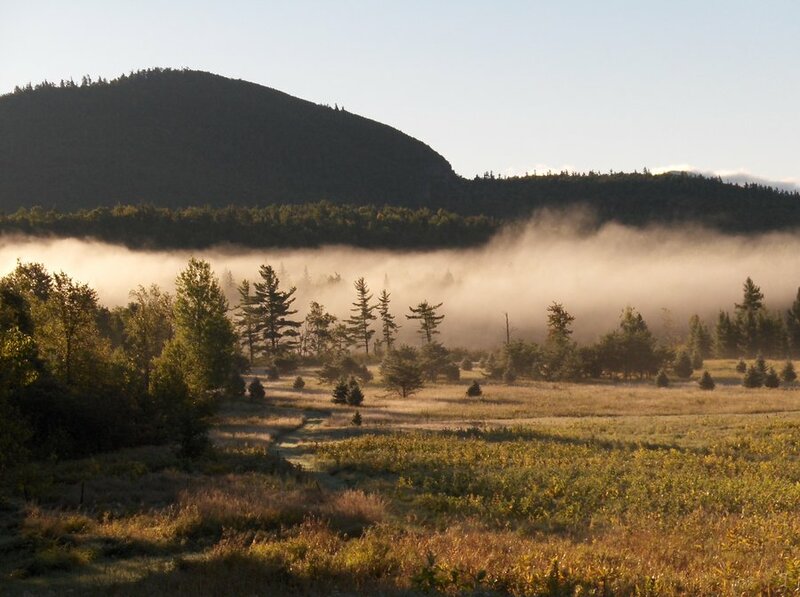 Hiking, biking, swimming and all the other Adirondack activities are plentiful. 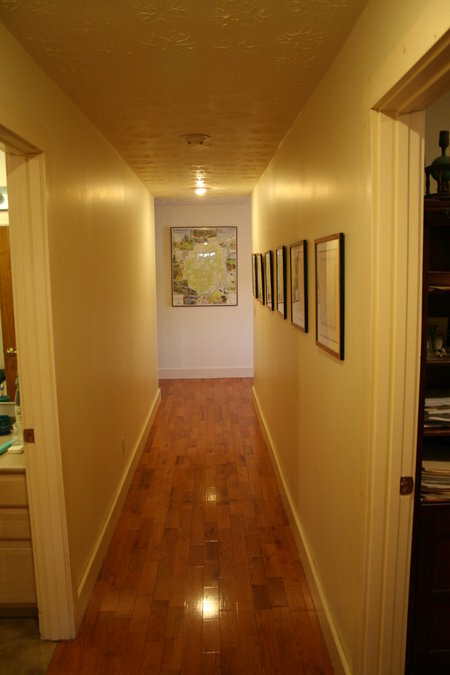 We are about 2 miles from the center of Wilmington, where there is a small grocery store, a library, public beach, restaurants, and many other amenities. 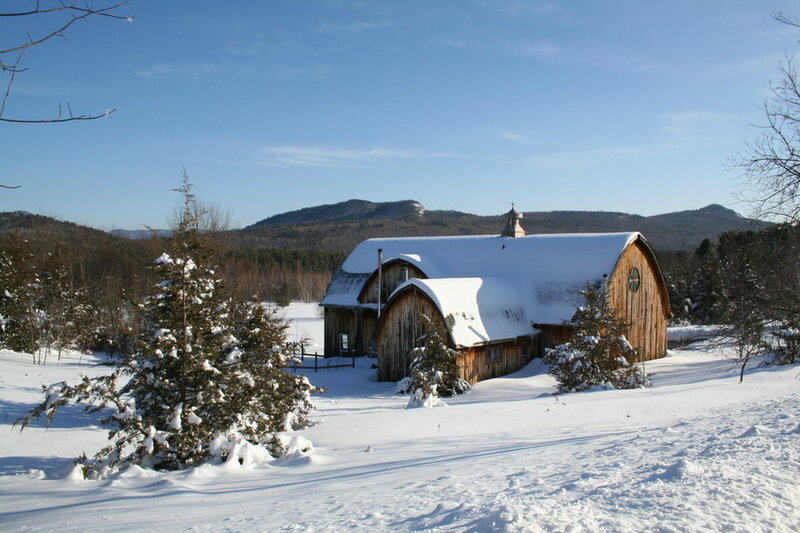 We are about 15 miles from Lake Placid and 12 miles from Keene. In the winter we heat with wood as well as oil, but if you are not familiar with woodstoves you can rely totally on the oil heat. If it storms, we have parking for two cars right off the road so you do not need to worry about getting out of the driveway. Although this is our primary home we do have other homes we could stay at if needed during certain times. 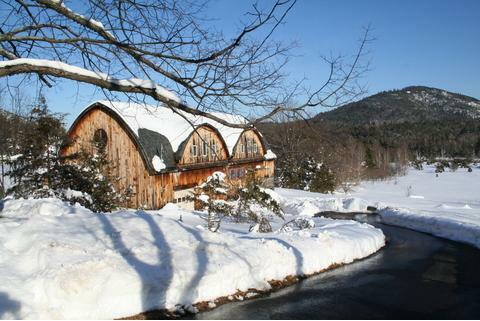 We travel often during the summer and vacations, so this home is often available during summer and ski season. 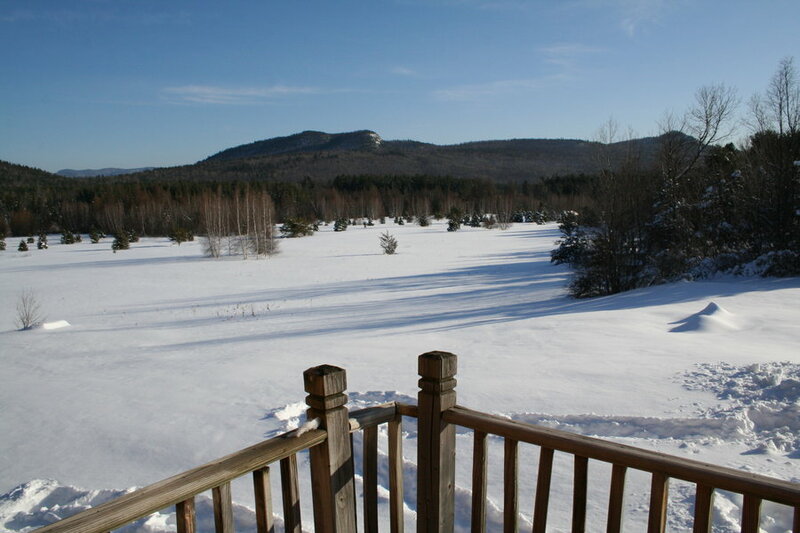 Wilmington is Home to Whiteface Mountain, so very convenient for the downhill skiier. 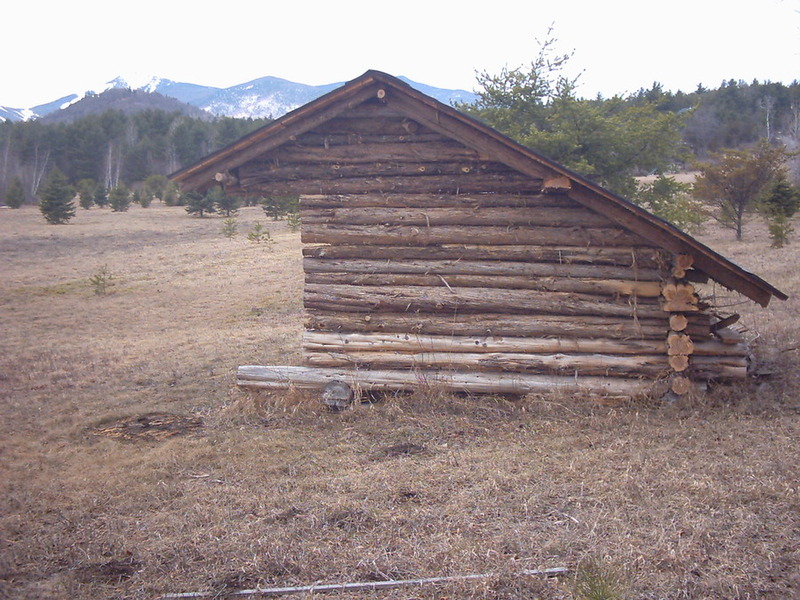 We are about 15 miles from downtown Lake Placid, and very close to hundreds of hiking trails in the Hight Peaks and surrounding mountains. 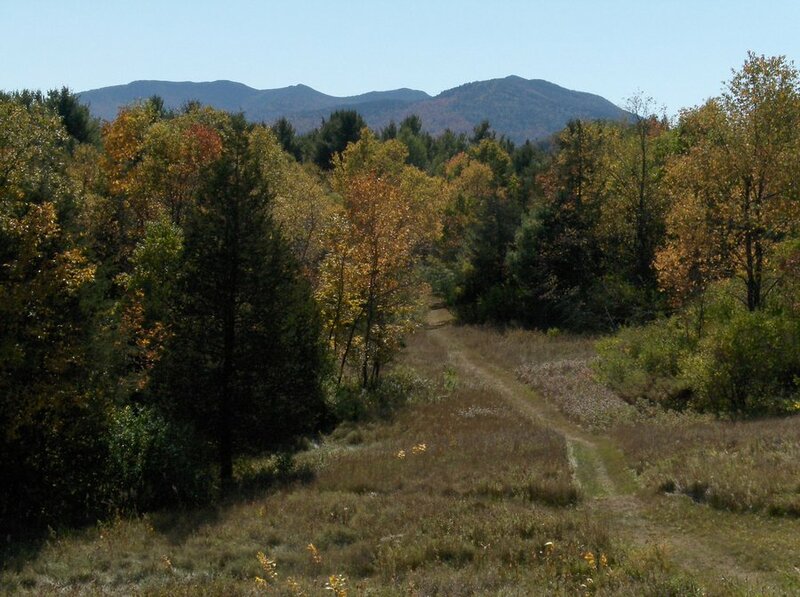 We are a mile and a half from the Hardy Road mountain biking trails, on the same road, a nice and safe rural road. 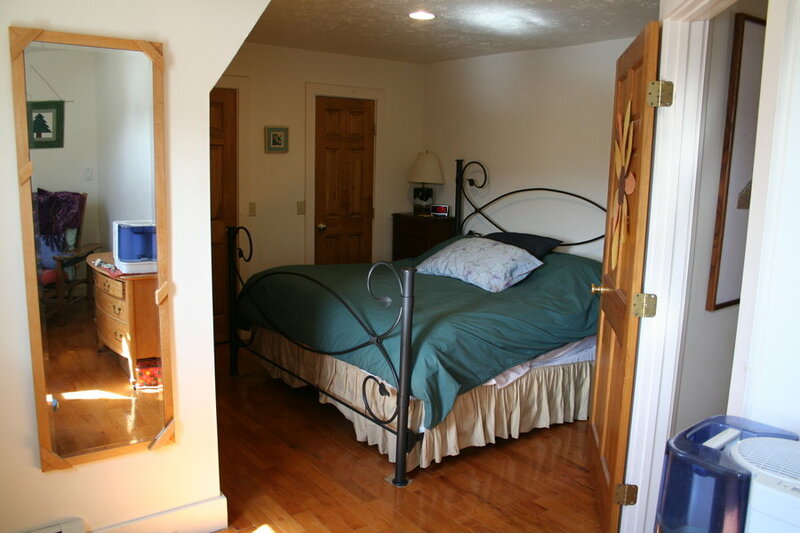 Sleeps six in actual beds - 1 king, 1 queen and a set of bunk beds for children. Convertible futon in library is also in a separate room. Sofa bed is in main living area. bathroom 2: bath, toilet, This is a jet bath which is not often used as it takes a lot of hot water so is not for every day bathing. 25 credits for up to 6 guests. For a party of 7 or 8 guests it will be 30 credits. There will be a $175 cleaning deposit, which is fully refundable if the guests leave the house as clean as they found it. All linens do not need to be washed, but otherwise the house must be left tidy and sanitary - eg the kitchen and bathrooms must be left tidy, dishes must be done, floors and furniture must be relatively clean. The deposit will not be returned if we need to do extensive cleaning over and beyond normal laundry such as linens and dish towels. 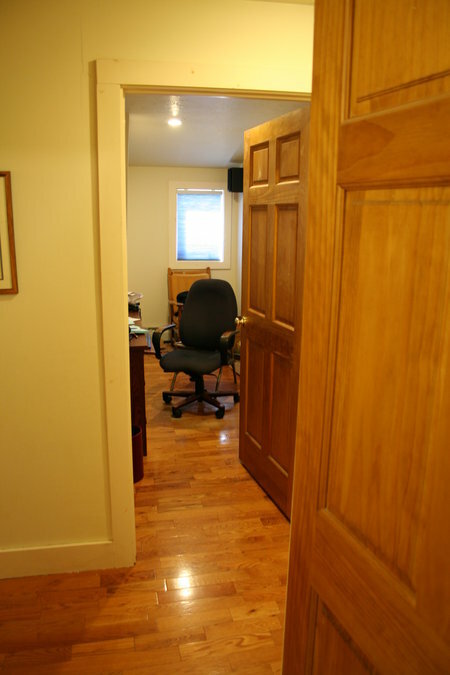 If you prefer to do no cleaning at all that is fine, and the deposit can be made a straight cleaning fee at the same rate or you may opt to pay 2 extra credits instead. 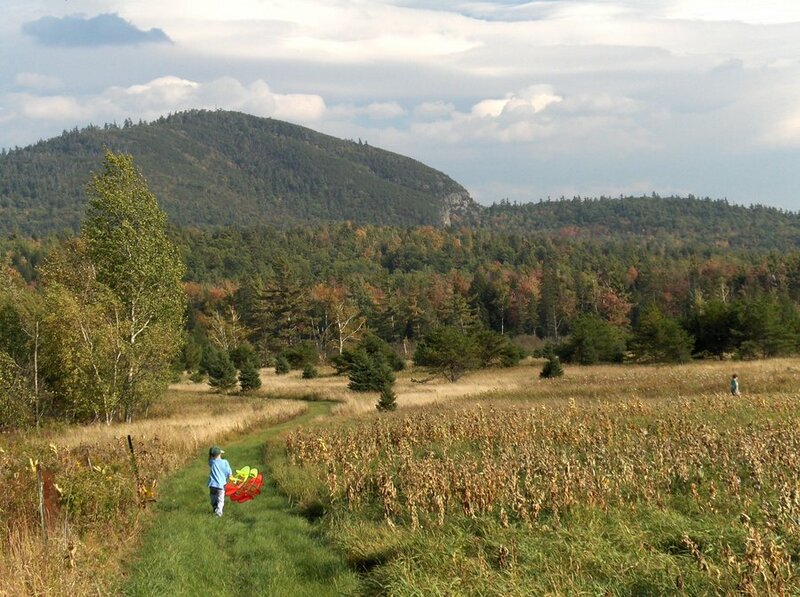 We are about 2 hours north of Albany, or about 5 hours north of New York City. We are about 2 hours south of Montreal.